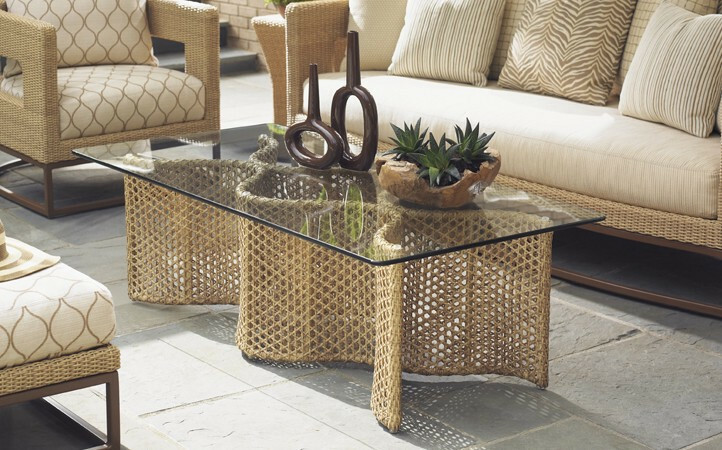 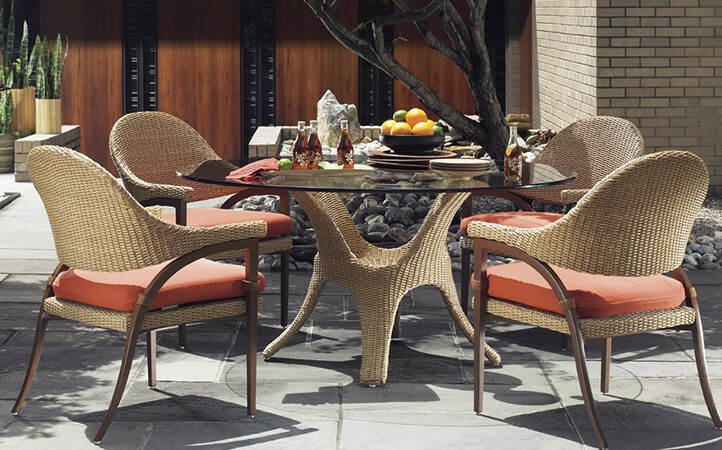 The enduring designs of mid-century modern have never been more relevant or more beautifully interpreted than in the sculpted lines of Aviano from Tommy Bahama Outdoor Living. 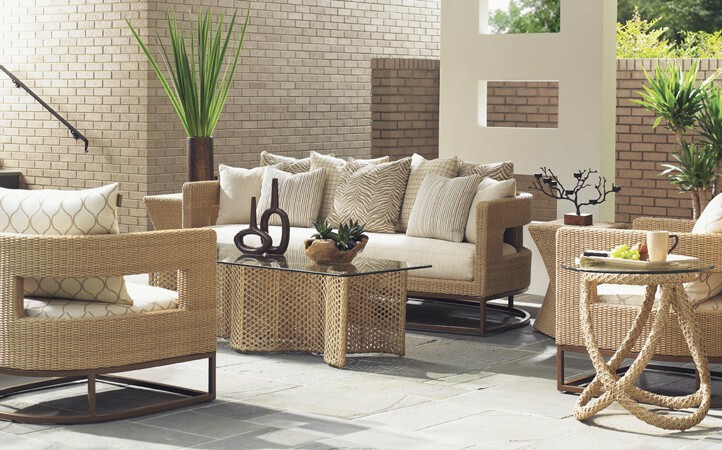 Sinuous frames, in a rich burnished mocha finish, are covered in a seagrass coloration of all-weather wicker crafted exclusively for Tommy Bahama. 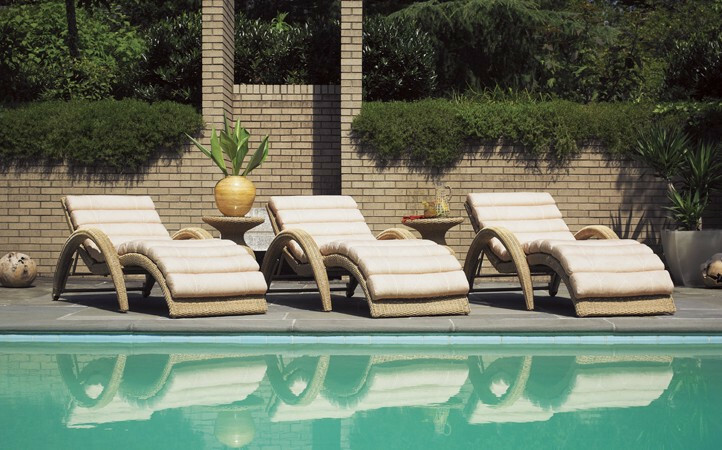 Custom Weatherstone™ tops replicate the look of natural travertine and plush upholstered seating offers sublime comfort, courtesy of our proprietary WeatherGuard™ cushions.